Well that was a brilliant evening. 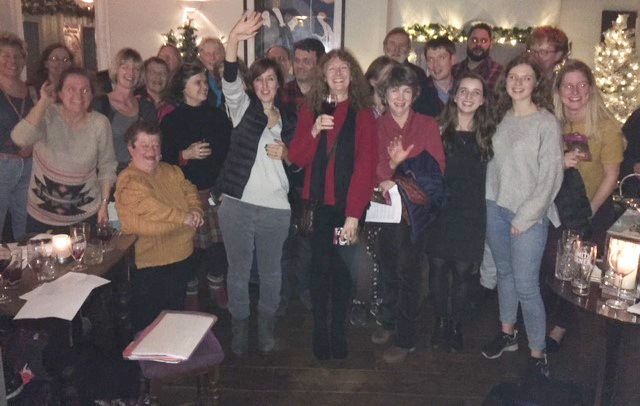 Two choirs and lots of big christmas singing with everyone in the pub joining in. Students and masters from Worcester performed some beautiful pieces from their christmas repertoire, we sang some of our favourites and we all joined in together for the rest including a rousing Fairytale of New York. Hope we have started a town and gown singing tradition!